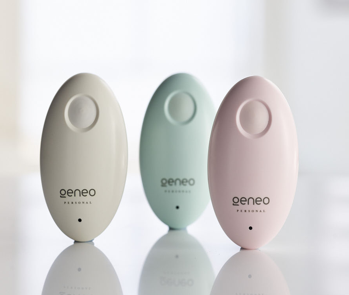 Geneo Personal is a premium beauty device for skin renewal, that provides an oxygen facial at home. 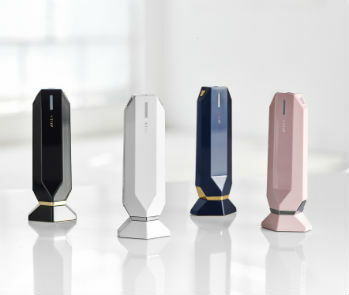 This sleek, premium device based on our professional Oxygeneo technology harnesses the natural power of Oxygen for a brighter, younger looking and glowing complexion. Geneo Personal is beneficial for ALL skin types. It provides the user with a deep cleansing of the skin, Exfoliation of the upper skin layer, Oxygenation of the skin from within and absorption of the skin for nourishment of active ingredients. The result: Skin renewal, improvement of skin tone and texture, glowy look, hydration and dull skin improvement. "To be totally honest, I'm more impressed thanI could've expected. After using the device, I noticed my skin felt softer and appeared brighter; plus, it was left dewy and totally glowing... Considering this was just my initial impression after one use, I can only imagine what my face will look like after multiple uses." 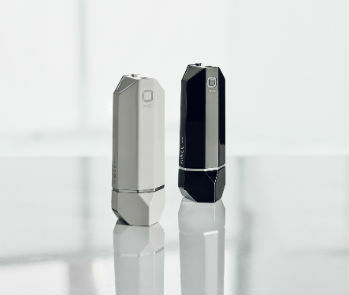 "I used Geneo Personal for about three weeks and was impressed by the effects on my skin.... [after a long weekend of camping] This device made forthe most refreshing post-camping scrub I've ever had, leaving my face feeling fresh and dewy.”“It fits perfectly in the palm of your hand, and the charging dock takes up little room on a dresser or counter-top.”“The device itself is straight forward to use, and to the joy of those who prefer instant gratification, the results are immediately apparent."